The Cliffs of Moher are Ireland’s number one natural tourist attraction. Rising over 100 meters above the Atlantic Ocean – it is a must see sight. From the top of the cliffs visitors can see the Aran Islands, the Maumturks & Twelve Pins mountain. Receiving about one million visitors each year – don’t miss out on the Cliffs of Moher during your time in Ireland! 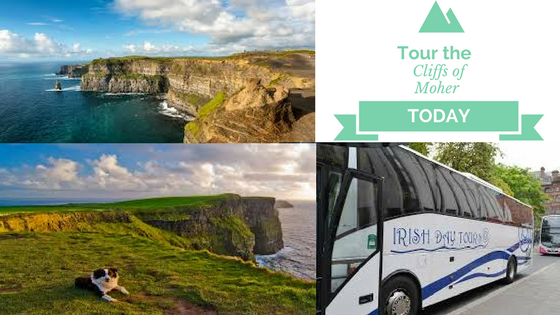 There are various tours and public transportation that will bring you to the Cliffs of Moher. If you want to really dive into Irish culture and learn about the history – Irish Day Tours is a great option. Providing you with a full itinerary as well as good commentary and delicious options for food, you are sure to get the most out of your day. This spectacular tour takes you to some of Ireland’s most loved sites. Departing at 7:15 am from Suffolk Street, your first stop is one that you will not forget. When arriving at the first stop in Caherconnel Fort, you are given time to stroll around the well preserved ring fort while taking in the ancient history. After exploring the fort, there is an opportunity to watch a sheep dog demonstration by a local farmer. You will watch three different dogs weave and turn at the farmers command while also learning about sheep farming in Ireland. The highlight of the tour is next – a cruise throughout the base of the cliffs. This is a unique view that not all get to experience when visiting the Cliffs of Moher. After seeing the cliffs from the base, you have the opportunity to walk along the cliffs taking in the beauty that these historic landmarks have to offer. 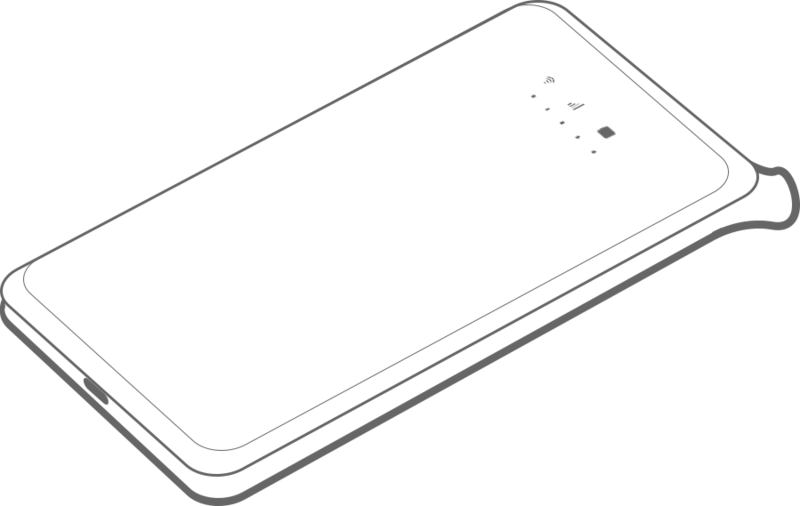 Be sure to enhance your tour experience by purchasing a Travel WiFi device!